Mary Lynne works in the Hamilton and Waikato area and has a wealth of knowledge and nearly 40 years clinical experience. She enjoys working with couples helping them track their fertility during their reproductive years so that they can choose when they want to conceive. 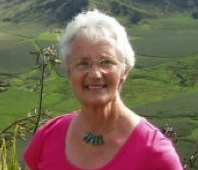 Mary Lynne is currently the Theory Supervisor for the Natural Fertility NZ Educator training programme, as well as regularly facilitating Positive Puberty programmes for year 7 students and parents; and Contraceptive Methods, as part of a Relationship Programme, for Year 12 students in some Secondary schools. Mary Lynne makes herself available to GP’s and Practice Nurses to talk about our services and facilitate discussion as to how both groups can work together towards the patients goals.